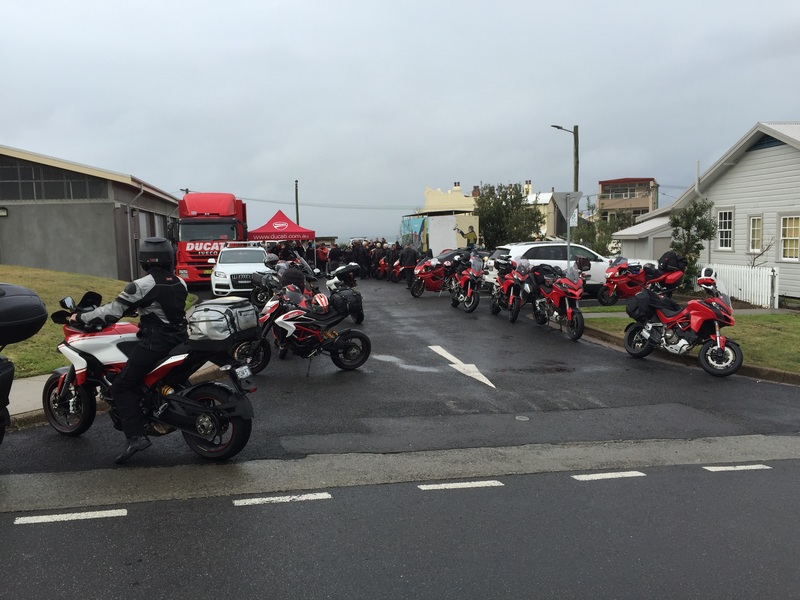 Today was the first day of the Ducati Turismo and started early at Fort Scratchley, an historic site on the water in Newcastle. 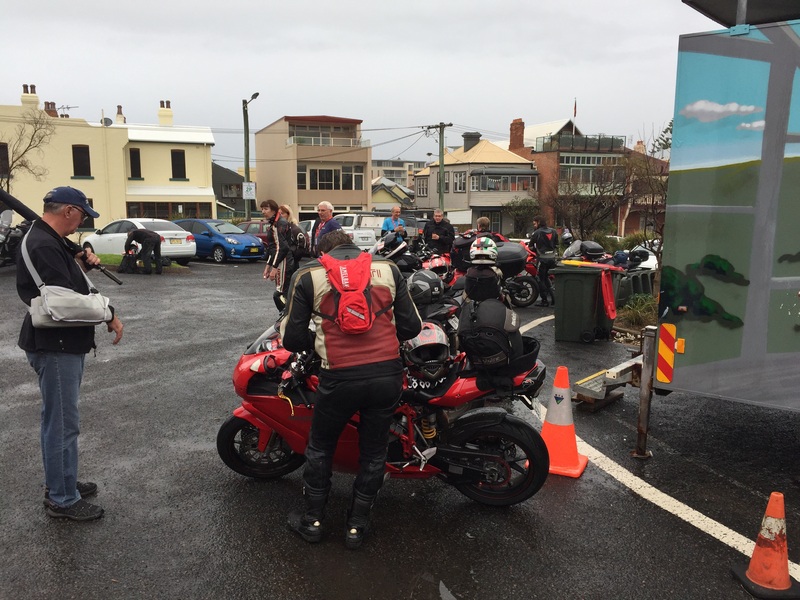 60 bikes met up on a cool but damp morning for a coffee and a quick briefing. 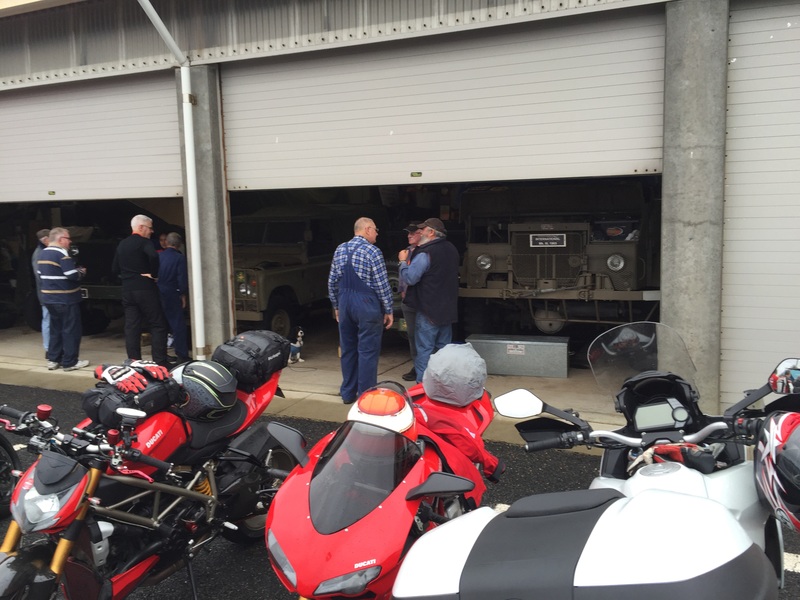 Fort Scratchley has a small contingent of volunteers who look after some old military equipment: a Ford Jeep, an old Land Rover troop carrier, a Studebaker truck and a couple of cannons! We then headed out along the waterfront and on to the Pacific Highway towards Taree before turning on to Bucketts Way. 5 kms in we turned left towards Clarence Town, well, I did – the guys in front carried on and I saw them slow down as they realised their mistake! From Clarence Town I took the main pack towards Dungog where I stopped for breakfast. I was soon joined by others as we let the main group head on to Gloucester. This area was badly affected by the recent floods and the roads were worse than normal and being damp made it difficult to get in a groove through the corners. I refueled at Gloucester and whilst most riders were lunching, I carried on to Barrington and Thunderbolts Way, which used to be a great run, however in recent years the low end of the road is choppy, bumpy and horrid. To make it worse it started to drizzle and I got caught behind a car that was all over the place. Once passed, I then hit mist at the lookout and then got stuck behind some BMWs until Nowendoc where it cleared and I could get passed and into a groove. Finally. Then the sun came out and all was well! The 70 km run to Walcha was sensational and I carried on to Uralla where I had a coffee in the sun and watched the world go by. The final 20 kms to Armidale was a breeze. All up 378 kms and all types of weather and road conditions. Tomorrow we head up to Tenterfield.